you want an experienced DWI attorney to represent you. 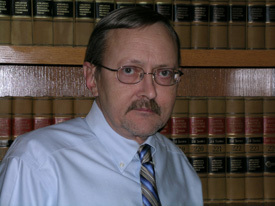 Ray Green has over three decades of experience with Texas DWI law. At your consultation, after hearing the details of your case, he can tell you how he can defend your driver's license and your freedom. You have only 15 days from the date of arrest to request an Administrative License Revocation hearing to defend your driver's license, so call Ray Green at (512) 396-5385 to schedule a consultation. Below you will find the punishment ranges for driving while intoxicated and related offenses. Probation can be granted for all DWI offenses and in many cases, does away with having to serve any jail time. Also, depending upon the facts of the case, there is a possibility that the charge can be dismissed, without the necessity of a trial. A first DWI is a Class B Misdemeanor Offense and the punishment range calls for jail time of between 3 days and 180 days, and up to a $2,000 fine. A second DWI is a Class A Misdemeanor Offense and the punishment range calls for jail time of between 10 days and 1 year, and up to a $4,000 fine. A third DWI is a 3rd Degree Felony Offense and the punishment range calls for penitentiary time of between 2 and 10 years, and up to a $10,000 fine. Probation can be granted for all DWI offenses and in many cases, does away with having to serve any jail time. Also, depending upon the facts of the case, there is a possibility that the charge can be dismissed, without the necessity of a trial. If your driver's license has been suspended, it is possible to obtain an Occupational or Essential Need License, which allows you to drive for essential household, educational and employment needs. DUI-Minor (first offense) is a Class C Misdemeanor punishable by up to 40 hours of community service, fine of up to $500, and an alcohol course. Driving while License Invalid (DWLI) and Driving While License Suspended (DWLS) can result in jail time and a fine, and additional suspension or loss of driving privileges. Intoxication Assault is a 3rd Degree Felony Offense, punishable by up to 10 years in the state penitentiary and a fine of up to $10,000. Probation can be granted and in many cases, does away with having to serve any jail time. Also, depending upon the facts of the case, there is a possibility that the charge can be dismissed, without the necessity of a trial. Intoxication Manslaughter is a 2nd Degree Felony Offense, punishable by up to 20 years in the state penitentiary and a fine of up to $10,000. Probation can be granted and in many cases, does away with having to serve any jail time. Also, depending upon the facts of the case, there is a possibility that the charge can be dismissed, without the necessity of a trial. Ray Green tried his first DWI case in 1980. He has over 30 years of experience in Texas DWI law.